Have you looked in the mirror recently? We probably look ourselves up in the mirror a couple of times per day. And sometimes, we might not like what we see. When it comes to aging, the first symptoms show in our eyes. You might notice your eyes look tired and sad. And that is despite you being happy. The fact of the matter is that our brows, upper lids, and outer corners of the eyes are the first areas where wrinkles appear. And when your eyes look old and tired, you look old and tired as well. Now, who wants to look 10 or 20 years older? Do you know such a person? We can say for sure that we do not know someone like that. Quite the opposite, most people are trying to look as young as they possibly can. And do that for as long as they can. With that in mind, we will talk about a Japanese technique that can help you make your eyes look younger. 1 Why do your eyes look old? 2 What is this Japanese technique? 4.3 How to get rid of the swelling? 4.5 How to remove wrinkles? Why do your eyes look old? Before we get to this Japanese technique, let’s answer the simple question. That is, why your eyes make you look old. And what can you do about it? In most cases, volume loss is the main cause for your eyes looking older. When you lose volume directly under the eye, under-eye hollows start to appear. As a result, light does not bounce off your facial contours equally. Some areas get more bounce, like the cheese, lips, nose, and forehead. And as such, volume loss will result in bags appearing under your eyes. Another reason why our eyes look tired and old is eyelid ptosis. The name might sound complicated, but it is just simply loose skin. This condition happens as a result of age and sun exposure. When the skin under the eyes and above the eyes is loose and wrinkled, your eyes look smaller. It is as simple as that. These areas can rarely be covered with makeup and camouflage creams. And the worst part is, no matter how well rested you are, your skin might not look like that. What is this Japanese technique? Called Shiatsu, this Japanese technique is essentially a massage for your skin. Created by Tokujiro Namikoshi, it was popularized during the beginning of the 20th century. The name comes from 2 words, which are “pressure” and “finger”. Basically, you now understand how the technique works. The important aspect is that the technique requires you to have basic knowledge of anatomy. It was based on secrets of Tibetan medicine. Tokujiro actually used to treat arthritis. Nowadays, it is widely accepted as a method for treating old and tired skin issues in the sphere of cosmetology. Fun fact: Tokujiro Namikoshi, the founder of the technique, lived to 95 years. And he looked as young and as spring as ever. 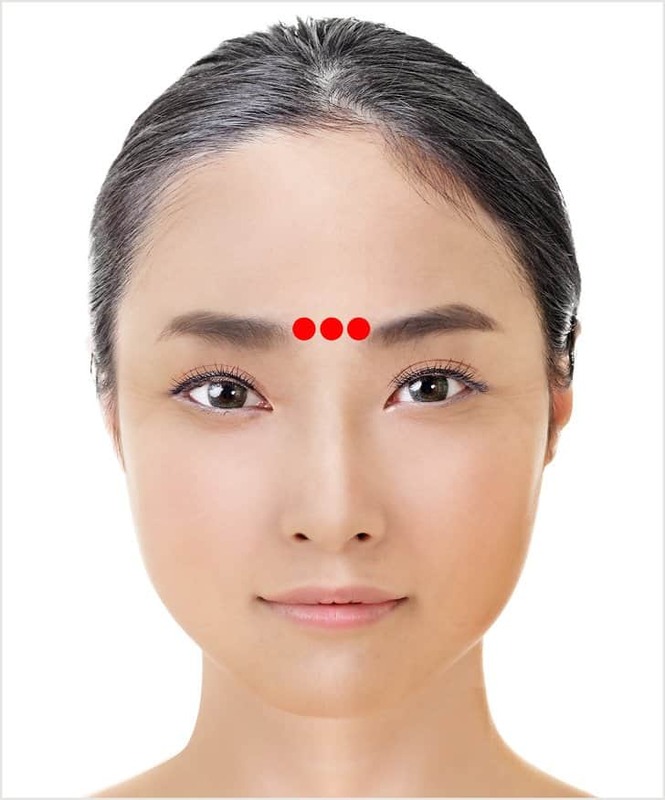 According to the creator and followers, there are certain spots on our face and body that, when they are properly pressed, help with blood and lymphatic fluid circulation. In the same time, the massage helps speed up metabolism in the tissues. Simply put, the massage helps to start, and speed up the natural process of body rejuvenation. The trick is to massage the spots, not the zones. And we are now at the crucial part of this article, YES, YOU CAN DO IT YOURSELF. All you have to do is apply pressure with medium intensity, just to the point you feel a slight discomfort. The zone around your eyes helps to strengthen muscles, smooth out wrinkles, increase the elasticity of your skin, and normalize oil production. Let’s be honest for a second, there are many treatment options if your eyes look older. But they cost nearly a fortune. One example is fillers with hyaluronic gel. These get injected under the eyes, and they great for replacing the lost volume. But they last up to one year, cost a lot, and after that, you have to get new fillers. Another option is laser therapy. Used to tighten your eyelid skin, laser therapy works by removing tiny columns of tissue and spurring new collagen. The result is a renewed and fresh appearance of your skin. Laser therapy requires a couple of treatments and then doing it on a regular basis. Now, we are not saying that Shiatsu is more efficient than laser and fillers. But it cost absolutely nothing to try it. As mentioned previously, you can practice at home. We will talk about the five exercises that are most commonly used for making your eyes look young. You can do them separately, or perform a full face massage following the Shiatsu instructions. In addition, you can implement them in your regular facial massage to make it more effective. The goal of this exercise is to apply pressure to the inner and outer ends of your eyebrows, as well as the middle. Once you lift your eyebrows, your eyes will open up, and you can show off them in their full glory. The term is used to describe a branching wrinkle at the outer corner of your eye. This is the pressure area, where you have to apply pressure three times for 3 seconds. How to get rid of the swelling? You can try this exercise to get rid of swelling eyes. Swelling happens due to a number of reasons, including when you haven’t slept enough. The pressure area is the inner corner of your eye and the area between the eye and the nose bridge. You area under the eyes can get wrinkles, dark spots, and so on. If you want to rejuvenate the skin under your eyes, here is how to it. 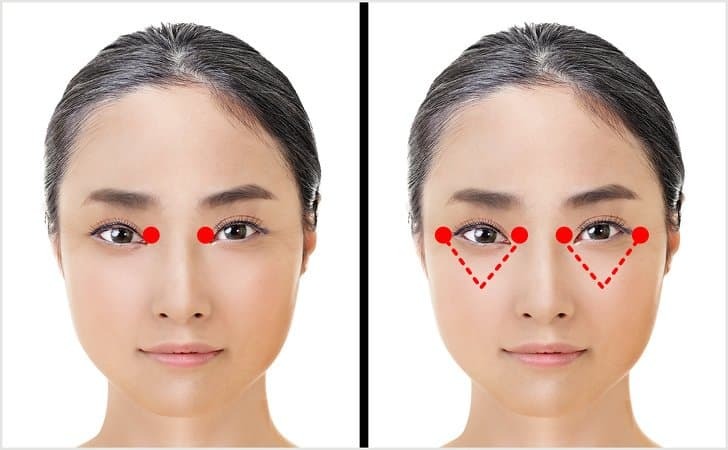 The last exercise is for removing wrinkles on the nose bridge. That is the area between brows. Some people call it the zone of the third eye.